Global Teq Training Academy: Once you are PMP CERTIFIED, How do you get that SALARY HIKE? 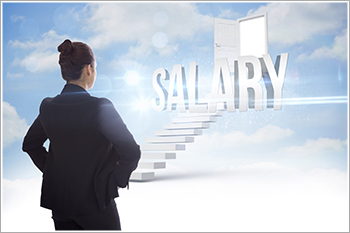 Once you are PMP CERTIFIED, How do you get that SALARY HIKE? Our panel of senior PMP trainer’s suggest that you approach your employer about sponsoring the boot camp training and exam fee prior to beginning the certification process. This is also a good time, they say, to ask about the raise that reflects the additional accreditation, which will give your organization that much more standing with stakeholders and clients. It’s possible your current employer may opt to pay for training and the test, and not necessarily give you that big raise immediately. However, the certification is great leverage for the next annual review and raise. And it should be even easier to receive that 15% to 20% raise with your next employer. To show the value of the PMP certification to your company (especially if you are one of the few to attain it), consider giving an internal presentation to the executive and account teams so that they, in turn, can play up your company’s project management PMP offering as a key differentiator. Finally, make sure to update your resume and your LinkedIn profile with your PMP credential information, and add any key things that resonate with you about the certification in your current role and industry. Make sure profiles on other networking groups mention it as well.